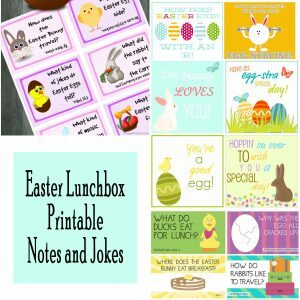 We love giving and receiving Lunch Box Notes in this family and these Maddalee Freebies are no exception! 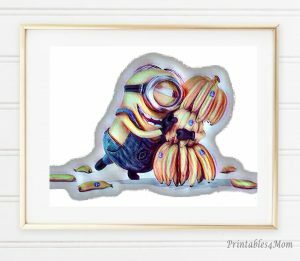 Simply print, cut and share! I love these motivational Lunch Box notes! Designed for older kids, but your little ones will love them just as much. 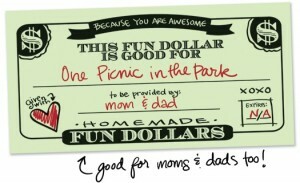 Print out a few for your kids at Whipperberry. 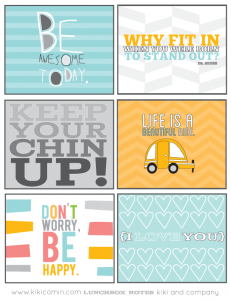 Send the kids back to school with these fun Printable Lunch Box notes from Buttoned Up. 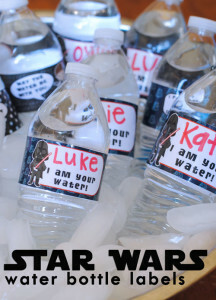 They also have printable notes for kids ages 8 & up. 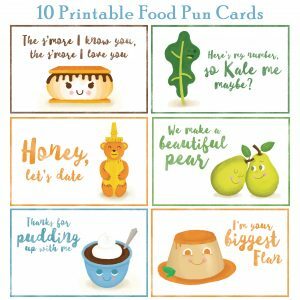 I can't wait to print out and use these fun Fruit Stickers from Oh Happy Day! 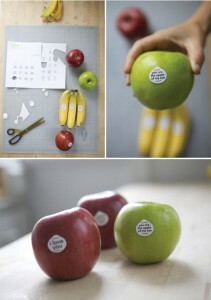 Add them to bananas and apples for a fun lunch surprise! 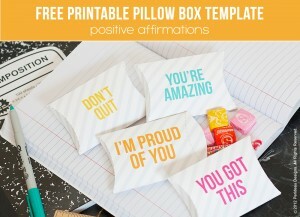 These printable Pillow Boxes are perfect for test day, back to school or just because! 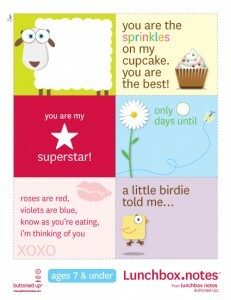 Tell your little ones how much you care with this printable found at Pizzazzerie.